SAP TechEd 2018 is approaching fast. SAP TechEd Las Vegas starts in less than two weeks from now, Barcelona will follow end of October, and Bangalore end of November. 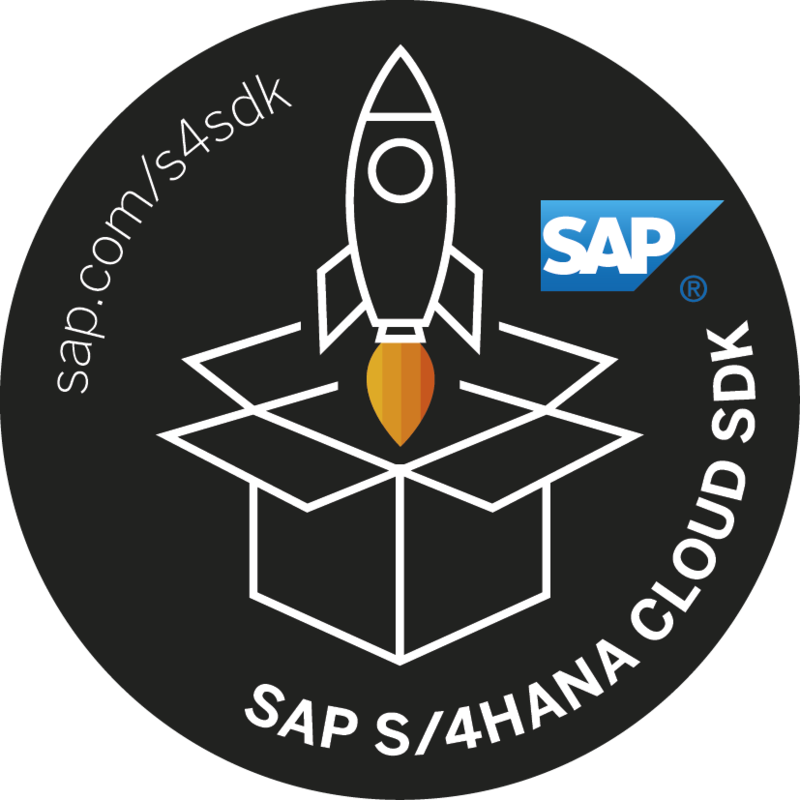 The SAP S/4HANA Cloud SDK is of course well represented at all three SAP TechEd events, with more than 15 sessions that explain how the SDK makes it easy to develop applications on SAP Cloud Platform that extend and integrate SAP S/4HANA. In this blog post, we walk you through the sessions about the SAP S/4HANA Cloud SDK so that you can plan your visit of SAP TechEd 2018. We invite you to add relevant sessions to your agenda for Las Vegas or Barcelona now. To do so, use the agenda builder with the links contained in this blog post for each session. Especially for the two hands-on sessions, make sure you also reserve your spot today, as seats are limited. The link for the session in Las Vegas is always labelled LV, the one for Barcelona BCL (Bangalore will follow later). Check out the agenda with all SDK-related sessions in Las Vegas and Barcelona (the links point to the session catalog already filtered for SAP S/4HANA Cloud SDK). If you only have 4 hours to spare, the following three sessions will give you a good overview of the SAP S/4HANA Cloud SDK. CNA218 (lecture): Develop and Continuously Deliver Side-by-Side Extensions of SAP S/4HANA – LV | BCL – Gives an overview of side-by-side extensibility for SAP S/4HANA (Cloud), including a deep dive into the SAP S/4HANA Cloud SDK. CNA365 (hands-on): Implement Unique Business Requirements with SAP Cloud Platform – LV | BCL – Create and deliver your own extension using the SDK in just under 2 hours. AIN213 (lecture): Intelligent Extensions for SAP S/4HANA and SAP Business Suite – LV | BCL – Explains how to build intelligence into side-by-side extensions. But you will be missing out when only attending these three sessions, so make sure to continue reading below! We have many more interesting sessions about the SDK, along three different themes. Also, stay tuned for exciting announcements! 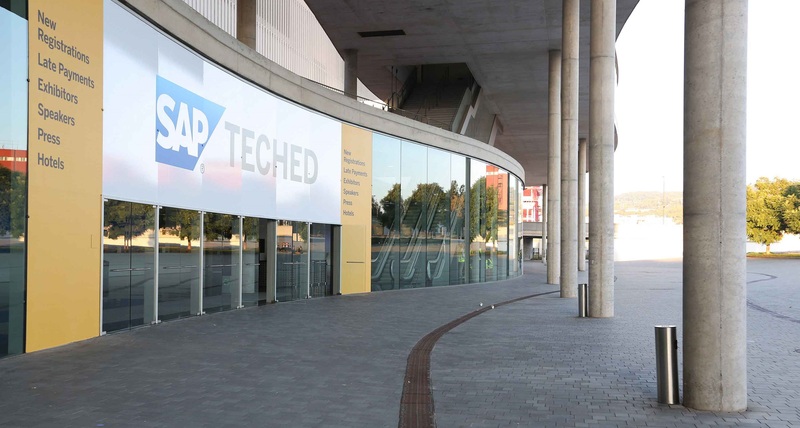 SAP TechEd is SAP’s premier technology conference. It offers lecture sessions and different hands-on formats to learn about SAP’s technology-focused solutions. As the central building block for developing side-by-side extensions of SAP S/4HANA (Cloud), SAP TechEd is an important conference for the SAP S/4HANA Cloud SDK as well. Our team will be present with several experts at all three locations, and we deliver 13 sessions in different formats. There are lectures to discover the SDK and what is new, as well as hands-on workshops and CodeJams to dive deeper and learn. In general, the sessions fall into three main themes: how to develop and continuously deliver side-by-side extensions with the SAP S/4HANA Cloud SDK in general, how to replace custom modifications of the past with side-by-side extensions, and how to build intelligence and innovation into side-by-side extensions. We present those themes and the related sessions in more detail in the following. In addition to the sessions delivered by experts from our team, the SAP S/4HANA Cloud SDK is also represented at the expert bar SAP S/4HANA Extensibility and SAP S/4HANA Cloud SDK (LV | BCL) on the show floor. Plus, we have two meetup sessions MU1258 and MU1276 in Las Vegas with experts from the SDK team. Be sure to drop by and say hello, get in contact, and ask your questions. All sessions of this theme deal explain side-by-side extensibility and the SAP S/4HANA Cloud SDK in general. They cover how the Java libraries of the SDK make developing extensions easy, and how the continous delivery toolkit supports the whole development lifecycle. CNA323 (lecture): Deliver Extensions for SAP S/4HANA Continuously with SAP S/4HANA Cloud SDK – LV | BCL – Deep dive into the continuous delivery toolkit of the SDK. CNA382 (hands-on): Build an Extension Application of SAP S/4HANA Cloud on SAP Cloud Platform – LV | BCL – Develop an extension in SAP Web IDE with the application programming model for SAP Cloud Platform. CNA401 (lecture): Testing of SAP Cloud Platform Applications Made Easy – LV | BCL – Learn how the SDK helps writing tests for any SAP Cloud Platform application. CNA629 (CodeJam): Develop an SAP S/4HANA Cloud extension in 30 minutes – LV | BCL – A condensed hands-on development experience with the SDK to get you started. CNA628 (CodeJam): Cloud qualities in side-by-side extensions with the SAP S/4HANA Cloud SDK – LV | BCL – Fix common mistakes in Cloud applications with the help of the SDK, in a one hour coding session. CNA710 (code review): Stack Overflow at SAP TechEd: Answering SAP S/4HANA Cloud SDK Questions – LV | BCL – Join us to get your questions about the SDK answered and review code together. This theme deals with the path towards SAP S/4HANA Cloud and SAP S/4HANA. You may wonder what to do with custom modifications that were done in the ERP system in the past, so that you have a future-proof architecture while still tailoring your SAP S/4HANA system to your unique business requirements. The following sessions aim to answer your questions. CNA309 (lecture): Addressing Unique Business Requirements with SAP Cloud Platform – LV | BCL – How to replace custom modifications with side-by-side extensions. CNA356 (hands-on): Implement Unique Business Requirements with SAP Cloud Platform – LV | BCL – The hands-on where you develop an app with the SDK and set up a continuous delivery pipeline. One great benefit of building applications on SAP Cloud Platform is the ready access to innovative services such as Machine Learning or Blockchain. The SAP S/4HANA Cloud SDK offers many capabilities that make building intelligent and innovative side-by-side extensions easy. This theme focuses on those capabilities that help you become an intelligent enterprise. Don’t miss the following sessions to understand the new capabilities of the SAP S/4HANA Cloud SDK in this direction. AIN213 (lecture): Intelligent Extensions for SAP S/4HANA and SAP Business Suite – LV | BCL – Explains how to include machine learning and Blockchain in side-by-side extensions. AIN302 (lecture): Build Conversational UI Extensions for SAP S/4HANA on SAP Conversational AI – LV | BCL – Learn how to talk to your SAP S/4HANA extension – and have it respond. CNA605 (CodeJam): Build Side-by-Side Extensions with SAP Leonardo Machine Learning Services – LV | BCL – Build your own machine learning-powered extension. INT606 (CodeJam): Extend SAP S/4HANA Using the SAP Cloud Platform Blockchain Service – LV | BCL – Integrate Blockchain into an SAP S/4HANA extension. We are looking forward to seeing you at one of the locations, in the sessions and on the show floor. Also stay tuned for additional formats as we get closer to SAP TechEd. While you are at SAP TechEd, also check out related topics such as the learning journeys around SAP S/4HANA Cloud and SAP S/4HANA. Sven Denecken has a general overview in his blog post. while i am not going to TechEd this year, i would recommend everyone to check out this session: https://sessioncatalog.sapevents.com/go/agendabuilder.sessions/?l=191&sid=62437_481530&locale=en_US. Georg is very enthusiastic when talking things blockchain or at least that’s my experience from last year.